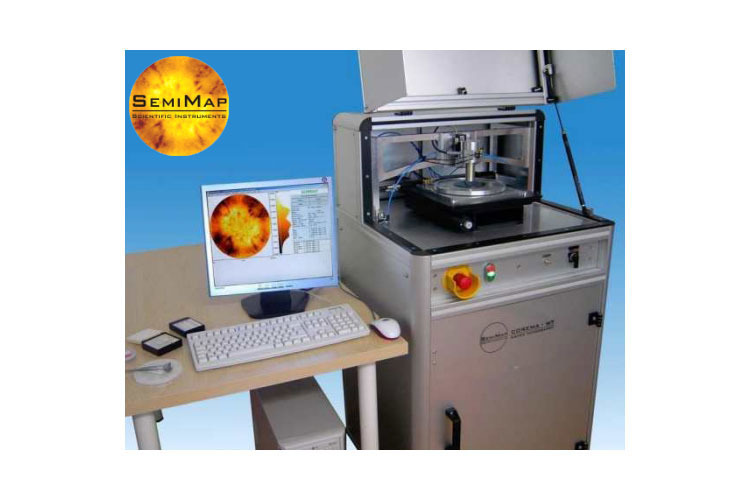 The COntactless REsistivity MApper designed for Wafer Topography (COREMA - WT) is a high performance diagnostic tool to characterize the resistivity of semi-insulating semiconductor wafers with precision, repeatability and detail. Full wafer resistivity topograms show fluctuations in the percent range with lateral resolution below 1 mm. It is used for routine production control as well as in-depth analysis supporting material R&D. COREMA – RM measures resistivity and the carrier mobility of GaAs and InP so it fully replaces the conventional Hall measurement. Again, no sample preparation or electrical contacts are required. COREMA – VT evaluates the temperature dependence of resistivity up to 600 K. The Arrhenius plot obtained by variable temperature measurements yields the Fermi level and other details of the compensation process. The system is intended for the growth optimization and quality assessment of semi-insulating SiC, CdTe and GaN. COREMA – ER is designed to measure thin epitaxial layers with intermediate resistivity grown on high resistivity substrates, such as GaN on SiC or Sapphire.